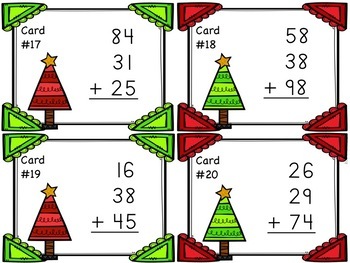 Three Two-Digit Addition Task Cards - Christmas Themed! 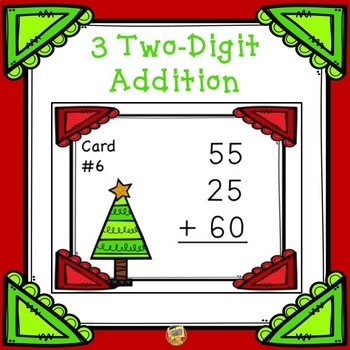 Ready to practice adding 3 two-digit addition? Get ready to practice your addition skills! Just in time to add to your winter and holiday activities! Everything you need to play an engaging game of SCOOT with your class. 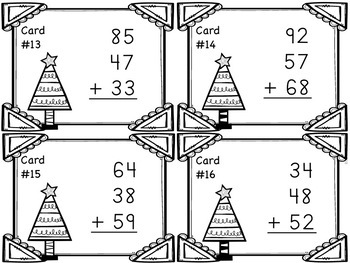 The task cards have endless possibilities for games, review, centers and more. Most of all, the kids LOVE THEM! Download the preview to see a sample of the pages included in the packet. Measuring Length - Measure Me With What?